When I started this interview journey I knew that I wanted to cover as many types of jobs in the BBQ and food world that I could(and still do). My hope was to give people the opportunity to learn about how people were able to go from one specific field(generally not food related at all) to something that they were really passionate about. If someone was on the edge of making that jump, but still hesitant, perhaps they could possibly use these interviews as a guide or foundation for making it happen. When it came to photography I knew that I wanted to talk to three specific people: Wyatt McSpadden, Robert Jacob Lerma, and Ken Goodman. Although all three are completely different in regards to specific subject manner, they all are able to capture the heart of what BBQ really is and have the unique ability to tell a larger story with just a single image. I still cannot believe that each of them was able to take the time to share their stories, insight, and passion with me. It truly was an honor. Here are the interviews(I have links to both the YouTube and Podcast versions if they exist). You’ll also want to be sure to follow all of them on social media to enrich your feed and inspire yourself daily. Be sure to check out Abe’s 1st episode of his new I Crush Barbecue Show with The Shed Market in Abeliene, Texas here. Holliday’s Barbeque - San Diego - @hollidays_barbeque on IG - Next pop-up early Feb.
Now that we are well into 2019 Abe Delgado and I wanted to start tracking the weekend BBQ pop-ups in and around Los Angeles so that we wouldn’t miss any. In doing so, we thought it would also be a great tool for others to plan ahead so they could visit one or more of the growing number of pop-ups dotting the Los Angeles landscape(we have added a few outside of Los Angeles for those doing weekend California road trips). There’s a special 2 day event that happens three times a year in Murphysboro, Illinois that’s put on by two of the best people in the BBQ world; Amy and Mike Mills of 17th Street Barbecue. I’ve wanted to go for years, not only for the incredible knowledge I’d gain from it, but for the relationships within the BBQ and food world that I would build. Every January they put on the Whole Hog Extravaganza/Brisket Bonanza/BBQ MBA Seminar (this year is the 7th annual and scheduled to take place on January 15th and 16th). In late March/early April they put on a Business of Barbecue seminar and in late March/early April. Catering Master Class late October/early November. Catering Master Class. The price for the Whole Hog class is $ 1,050.00 and the other two classes are $ 950.00 each. You may think that is a lot of money(some may not), but what you’ll get back from the experience is immeasurable. I’ve interviewed numerous people that have gone to one or more of these and they talk of still being close friends with fellow students as well as speakers. Interestingly, from it’s inception, they have had students from 45 states and 16 countries(over 1,000 people). Currently the online registration system is not up(it will be soon), so if you are interested you should email Amy directly here. Note that they classes fill up quickly, so registering soon is imperative if you want to be part of the upcoming January whole hog event. Here is a link to all of the necessary information. The ‘underground’ BBQ scene in Los Angeles(and the surrounding area) has exploded over the last couple of years. Some, most notably Trudy’s Underground BBQ, have moved into a brick and mortar location will others continue to pop up at breweries, coffee houses, and festivals. Below is a growing list(in alphabetical order) of all of them along with hours and locations(if the location is static). I’ve added some from the Bay Area and San Diego for good measure. A’s BBQ - Los Angeles - East Los Angeles Soul BBQ - Craft BBQ infused with the flavors he grew up eating in East Los Angeles. Popping up in and around Los Angeles(mostly at breweries). Check them out on Instagram at @as_bbq for locations. Bartz Barbecue - Los Angeles - Central Texas Style BBQ, burgers and Nashville Fried Chicken at Los Angeles Breweries. Find them at Los Angeles Ale Works on Wednesdays and Saturdays either El Segundo Brewing or LA Ale Works. To double check where they are at see their Instagram @bartz.barbecue. Black Cat BBQ - Los Angeles - Find them every Sunday at the Beverly Hills Farmers Market serving up brisket, trip tip, pork ribs(sparers and baby backs), pulled pork, smoked chicken, turkey, pork belly burnt ends, hot links and a huge assortment of sides. Follow them on Instagram @blackcatbbqla for updates. Foundry Barbecue - Orange County - Central Texas style BBQ coming soon. Follow their Instagram @foundrybarbecue to get a jump on them. Currently only taking orders via DM. Gogi Craft - Los Angeles - Texas inspired smoked meats with Korean soul in the San Fernando Valley. Find them most Saturdays at House Roots Lab. Check them out on Instagram @gogicraftla for the latest. 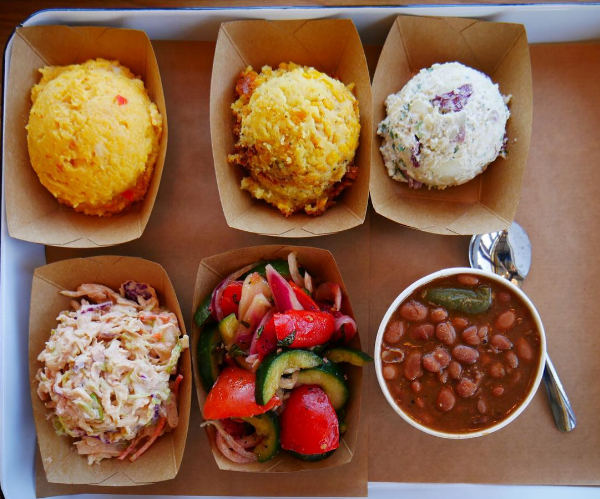 Hayseed BBQ - Los Angeles - BBQ rooted in Appalachian traditions, inspired by the streets of Los Angeles. Currently popping up sporadically around LA. Follow their Instagram @hayseedbbq for upcoming dates. Horn Barbecue - Oakland - an underground meat smoking concept specializing in Central Texas Style BBQ. Popping up at breweries and events throughout California(and Texas). Follow them on Instagram @hornbarbecue for updates and news. Meathead BBQ - Los Angeles - A once a week BBQ pop up (often at local breweries) utilizing meat sourced from farms practicing humane care and high standards to deliver a healthy product. Currently using wagyu brisket and tri tip from Creekstone Farms as well as their pork. Follow them on Instagram at @meatheadbbqla for more info and dates. 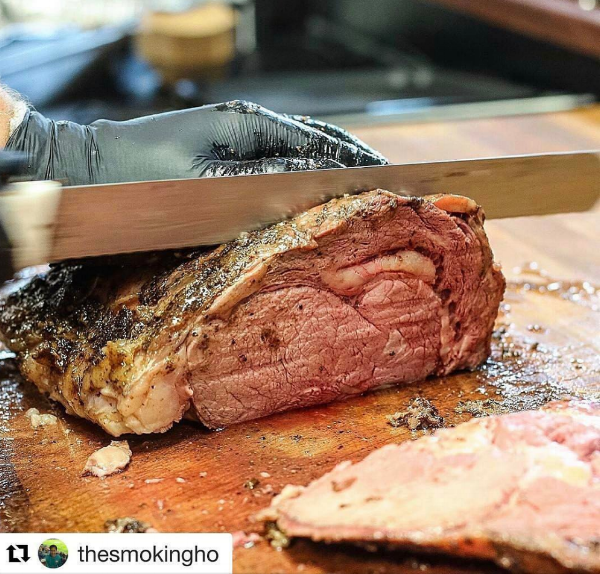 Moo’s Craft Barbecue - Los Angeles - You can find them just about every other week on a Saturday or Sunday at a local brewery serving brisket, pork ribs, beef ribs, house made sausage, pulled pork, and incredible scratch made sides. Check their Instagram @mooscraftbarbecue for information on where they will be. Kelly’s Barbecue - Los Angeles - Texas BBQ with a twist. Follow them on Instagram at @kellysbbqla for news on their 2019 pop ups. Ragtop Fern’s BBQ - Los Angeles - Brisket, beef and pork ribs available on most Saturdays. DM them on Instagram @ragtopfernsbbq to secure food and know they sell out early. Republic Craft Barbecue - Los Angeles - Texas style BBQ in the heart of Los Angeles. Brisket, ribs, pulled pork and creative sides popping up at breweries and events. Follow them on Instagram at @republicue_ for the latest locations. The Offset BBQ - Orange County - currently taking the rest of 2018 off with sights set on new pop ups(possibly some in Los Angeles) in 2019. Follow them on Instagram @theoffsetbbq for news. Trudy’s Underground BBQ - Los Angeles - One of the most popular underground BBQ spots running out of the San Fernando Valley is no longer underground. Owner Burt Bakman is now manning the smokers on 3rd Street at the newly opened Slab BBQ. Open Tuesdays through Sunday from 11 AM until sold out. Follow them on Instagram @slab for updates and specials. Ugly Drum - Los Angeles - It’s not traditional BBQ, but Erik Black is smoking some of the best pastrami on the West Coast. AND they are now doing hot guts(sausage) and rib tips. You can sample an amazing pastrami sandwich or pastrami burnt ends every Sunday at Smorgasburg Los Angeles and follow them on Instagram @uglydrum for news and specials. 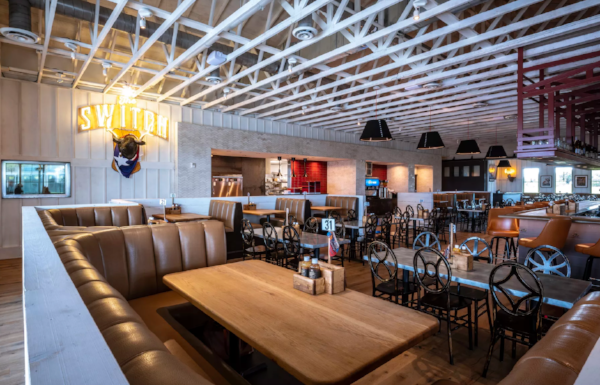 The good folks behind Stiles Switch BBQ and Brew opened a new location in Dripping Springs, Texas in June 2018 called The Switch. Although they do feature items made popular at the original Austin location, The Switch is putting out a lot of unique, often Cajun-influenced, items. I wanted to offer up photos from their social media and others to showcase the incredible fare. Cheese Grits, Corn Casserole, Potato Salad, Cajun Slaw, Beans, & Cucumber Tomato Salad. Sam Jones BBQ is a special place for two reasons. Whole hogs and Sam Jones. There aren’t many places across the United States that do a proper whole hog and if they have, they haven’t been doing it as long as Sam Jones and his family. Sam’s grandfather, the late Pete Jones, opened Skylight Inn BBQ in Ayden, North Carolina in 1947 cooking whole hogs and serving a basic, yet perfect menu. Sam grew up in and around the business and came to own it in 2006. He branched out to open his own spot, while still owning Skylight Inn, in 2016. Here are some photos to show you what they are up to. If you’re in North Carolina and don’t visit, you’re doing yourself a disservice. 715 West Fire Tower Rd. 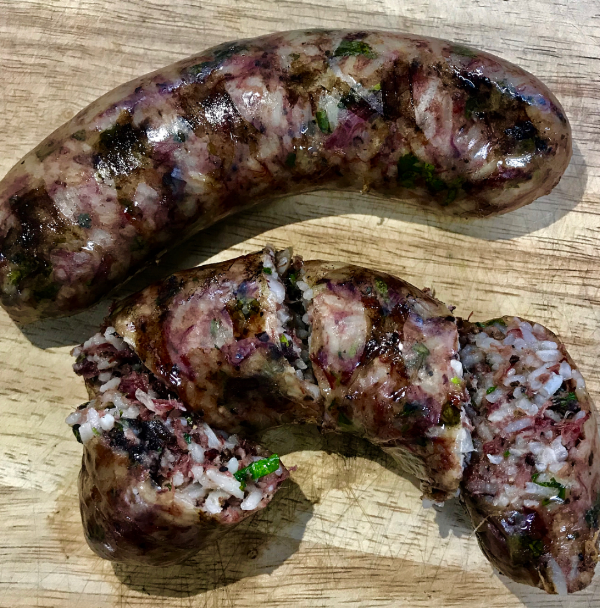 Tejas Chocolate & Barbecue in Tomball, Texas puts out some of the most creative house-made sausages(as well as Boudin) in all of Texas. The Chili Relleño(yes, Chili Relleño) and house mild are an everyday sausage, so if you’re itchin’ to try one of the ones below it would be best to check their social media to see which ones they are featuring as a special. Smoked street corn pork sausage - Charred corn, cojita, ancho, cilantro & lime - all pork house grind. Barbacoa boudin - tender smokey 44 Farms beef cheeks w/cilantro lime rice. Prime rib is one of my favorite things on the planet to eat. It’s so tender, juicy, and flavorful that when it’s on the menu I at a restaurant I have to order it. If you ever see it on a menu at a BBQ joint I recommend ordering it because generally it’s a special and most often than not they put a particular spin on it that makes it ridiculously delicious. 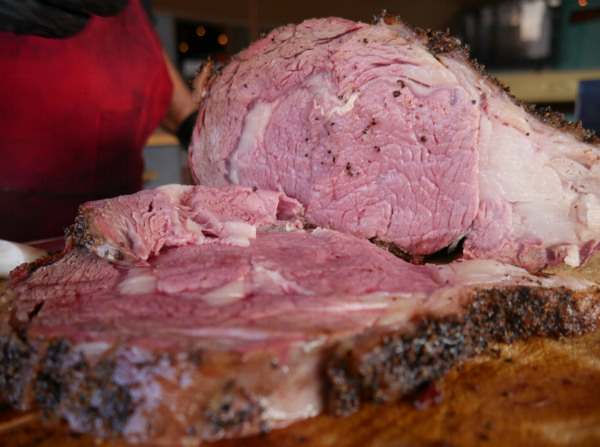 Here are photos of Prime Rib at BBQ joints. This will be updated often so come back if you want to see if your favorite spot features prime rib.